An Aberdeen-based magician has scooped two prestigious prizes in a hard-fought magic competition. 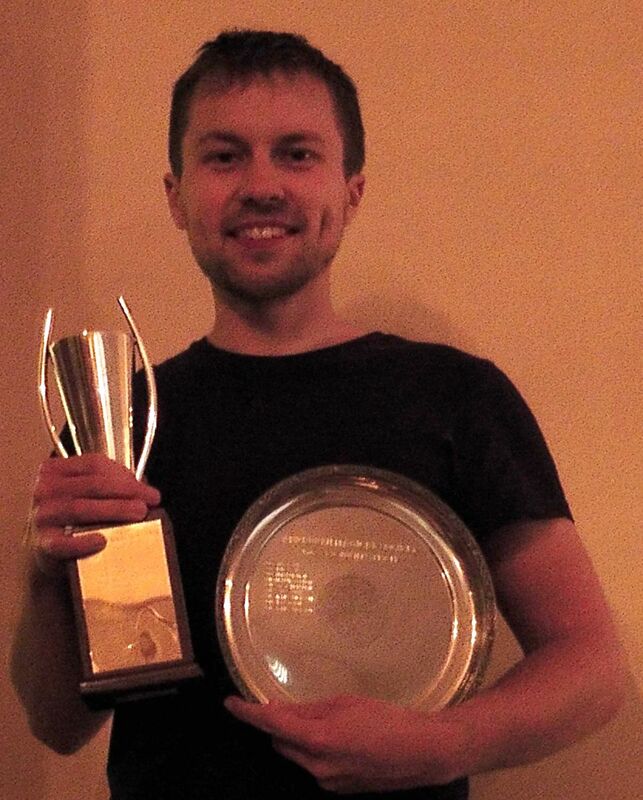 James Dickson was awarded the Ulster Cup for Close-Up Magic and the President’s Plate by a panel of his peers at the Aberdeen Magical Society. James, a prolific magical inventor whose tricks are used by magicians around the world, triumphed with a creative act which culminated with a signed coin appearing inside a sealed tin of peas. 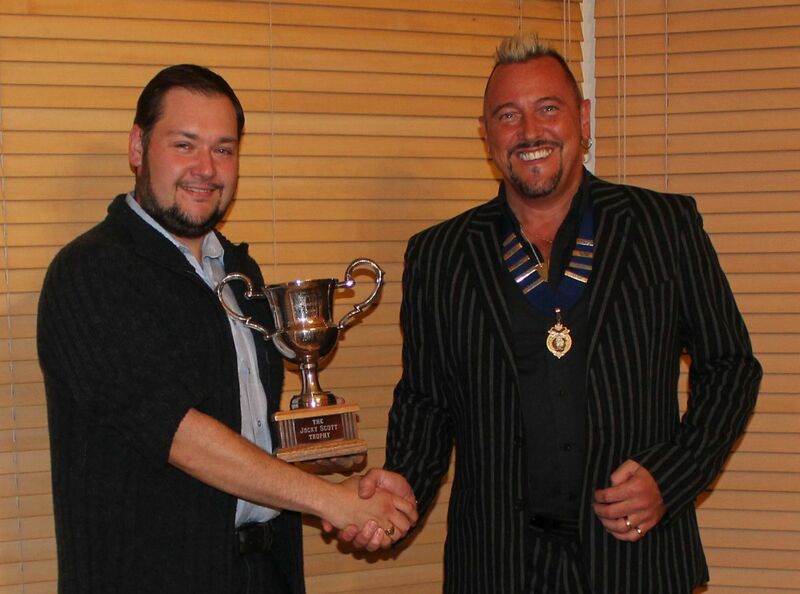 The Ulster Cup is presented to the magician who displays the best technical skill and entertainment value in Aberdeen Magical Society’s annual close-up magic competition. The President’s Plate is awarded by the society’s current president to his favourite act of the competition. “Magic is an art form at its heart and all art is an expression of the individual. The more I perform and study magic the more I end up learning about myself. “When I create a trick I do not sit down and think what I can do that is unique or individual to me; instead I explore ideas that I find interesting and it can lead to some unusual places. “Even if it means investing two years of work to find a solution to a problem I am willing to go that far – and what’s more, I have. This open approach to magic and commitment has allowed my work to be picked up by others who can see the value of my efforts. 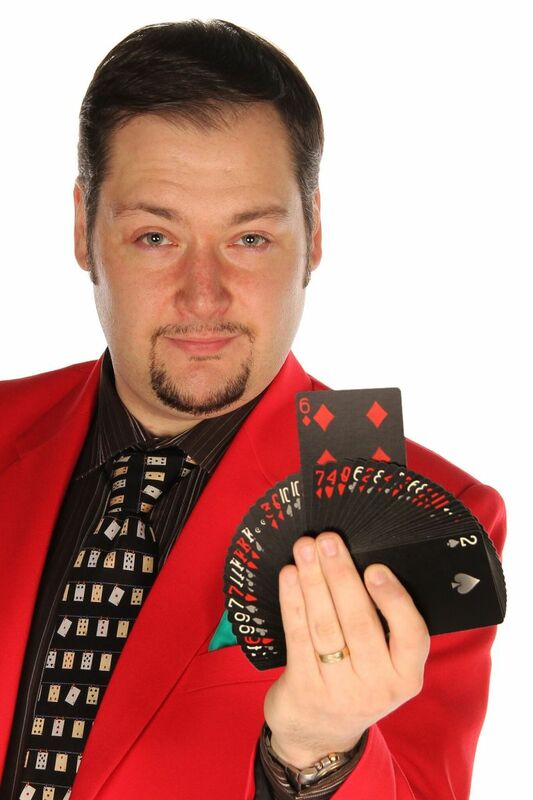 James, who cites his early influences as TV stars Paul Daniels, David Copperfield and David Blaine, has always been fascinated by the challenge presented by magic, likening it to the finest ‘whodunit’ mystery. But it was joining Aberdeen Magical Society that he feels really allowed him to hone his craft. 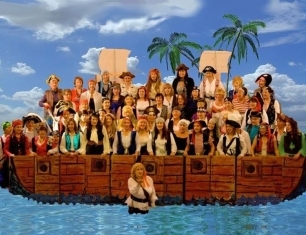 “Before I joined Aberdeen Magical Society I was happy self-studying magic, but upon joining I discovered why being part of a magic club is so important for a magician. “Aberdeen Magical Society has a library of magic that covers many topics, and has rare and out-of-print materials that can help conjurors advance in their magic. Moreover, the wealth of knowledge amongst the members is staggering and the advice I have received over the years has helped me tremendously. “The society is established enough to attract many of the greatest magicians in the world to come and lecture, and at every meeting there is magic to see and opportunities to perform tricks that you are working on. And to top it all – it’s fun! I have made great friends and it’s fantastic that every couple of weeks I can hang around with people who share the same passion in life. Aberdeen Magical Society was founded in 1926, and is one of the most active magical societies in the country. With a membership ranging from full time professionals to amateur hobbyists, all those with a genuine interest in magic are welcome to join. Providing a warm and welcoming environment for magicians in the north east of Scotland, Aberdeen Magical Society is dedicated to developing the art of magic. In 2016, the society celebrates its 90th anniversary. Paul Rae accepts the Jocky Scott Trophy for Entertainment from Aberdeen Magical Society president Garry Seagraves. With thanks to Aberdeen Magical Society. A local magician is celebrating after winning a highly competitive magic contest. Paul Rae was awarded the Jocky Scott Trophy for Entertainment by members of the Aberdeen Magical Society. The trophy was presented by president Garry Seagraves after a close competition on Tuesday, September 22. To fight off tough competition from four other local magicians, Paul performed a unique routine in which he predicted the outcome of a superheroic battle to pick up the trophy, which is awarded for pure entertainment value. The Jocky Scott Trophy for Entertainment, named after a popular former member of the society, is one of three annual competitions held by Aberdeen Magical Society, and was first awarded in 1985. Judged by a panel of magicians and invited members of the public, the award is given to the competitor who – simply – is the most entertaining. Aberdeen Magical Society was founded in 1926, and is one of the most active magical societies in the country. With a membership ranging from full time professionals to amateur hobbyists, all those with a genuine interest in magic are welcome to join. Providing a warm and welcoming environment for magicians in the north east of Scotland, Aberdeen Magical Society is dedicated to developing the art of magic. In 2016, the society will celebrate its 90th anniversary. In 16th and 17th Century Scotland literally anyone could be accused of dealing with the devil and practising the black arts, relates Duncan Harley, one of Voice’s local history research wizards experts. These were times of great superstition backed up by the force of what now appears to be a cruel and brutal legal system which commonly used torture and trial by water and fire to determine the guilt or innocence of those unfortunates accused of consorting with the devil. Taking her lead from a Europe-wide inquisition leading to the mass burning of heretics and those thought guilty of witchcraft, Mary Queen of Scots had officially banned witchcraft in Scotland in 1563. Known as Mary’s Law, the Witchcraft Act of 1563 defined witchcraft as sorcery and described a witch as a person considered to have supernatural powers granted by Satan in exchange for the giving up of their soul. 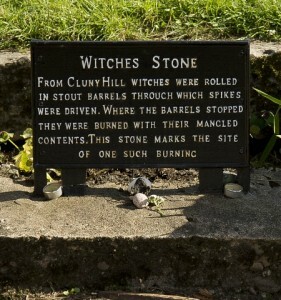 Under Mary’s Law, both the practice of witchcraft and consulting with witches were capital offences. Although repealed in 1735, by which time the House of Lords considered the crime of witchcraft to be ‘an impossible offence’, witchcraft was an offence which, in fact, remained on the UK statute books in various forms until 1951. Historians’ estimates of the numbers of people executed in Scotland between 1563 and 1735 vary widely, but the numbers are likely to be in the tens of thousands and most towns and cities have both tales and historic sites related to this period of terror. It may be no accident that in Macbeth, Shakespeare placed his three witches on a heath near Forres! 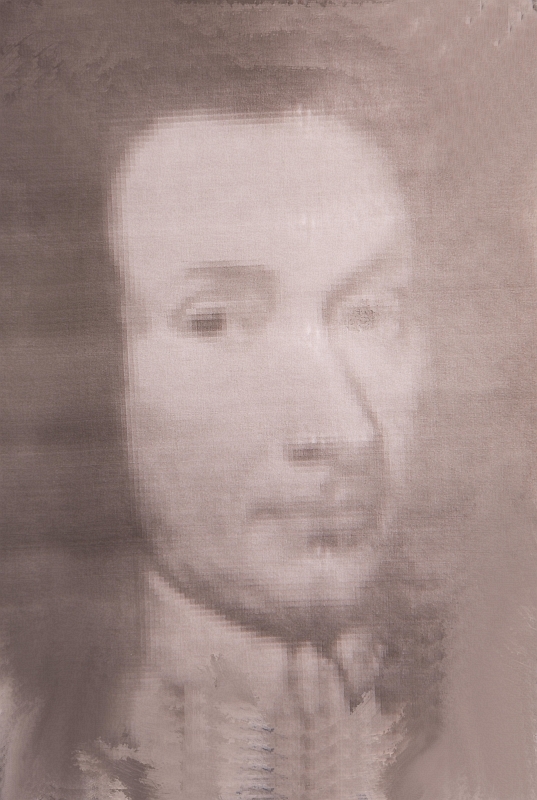 It wasn’t just the ordinary mortal who could be accused of doing the devil’s work in the 17th century, however, as the tale of Robert Gordon illustrates. Better known as the Wizard of Gordonstoun, Sir Robert Gordon, the 3rd Baronet of Gordonstoun, was born in 1647 and lived out his 57 years during a highly-superstitious and God-fearing period in Scottish history. Educated in Italy where he studied chemistry and mechanics, he had somehow acquired the reputation of being a wizard. It was said he ‘gave himself away’ to gain more knowledge. Some said he had sold his soul to the devil in exchange for thirty years of life and the understanding of science. An inspiration for Oscar Wilde’s The Picture of Dorian Gray perhaps? The rumours followed him home to Gordonstoun, where he was seen to conduct scientific experiments in a round house connected to the sea caves at Covesea beach via a secret tunnel. Seemingly, he supped with the Devil and danced with naked women. He was said to have no shadow and was rumoured to have learned the mysteries of necromancy during his residence at the University of Padau in Italy. Many other rumours circulated and Robert’s reputation was perhaps not enhanced when it emerged that he had slow-cooked a salamander over the course of seven years to persuade it to reveal scientific secrets. Fortunately for Sir Robert, his great wealth and not a few lofty connections meant that those who would have tried him for wizardry, or indeed witchcraft, were powerless to act against him. In the light of history he was probably just a rather eccentric but dedicated scientist who lived in a highly superstitious age. One of Sir Robert’s significant achievements was the design of a ‘better sea pump’ for the British Navy. Samuel Pepys, Secretary to the Navy during 1687, obtained a warrant from King James II to pay Sir Robert £318 in recompense for the new and improved pump design, which was, according to Pepys, ‘beyond what has ever been achieved by the present ordinary chain pump.’ Praise indeed. 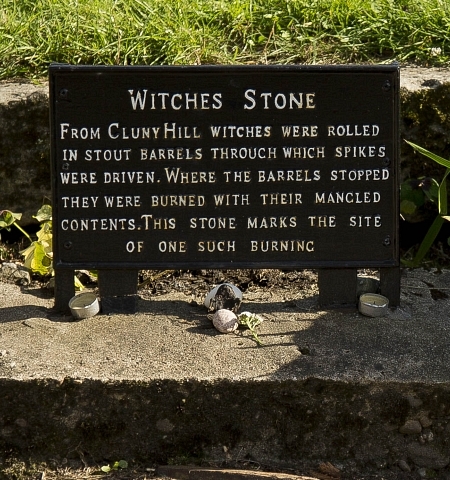 The last convicted witch in Scotland, an unfortunate lady by the name of Janet Horne, was burned at the stake in Dornoch in 1722. The last successful trials under what had become The Fraudulent Mediums Act were heard in 1944 when two separate cases involving mediums were brought to court resulting in the convictions of Jane Rebecca York and Helen Duncan. 72 year old Ms York was fortunate in being punished by a fine amounting merely to five pounds after being convicted of falsely claiming that her spirit guide, a Zulu warrior known as Guide Spirit Zulu, could contact the dead. The slightly more unfortunate Ms Duncan received a nine month prison sentence following her quite-detailed revelations about a highly-censored and extremely secret report about the wartime sinking of the battleship HMS Barham off Dakar in 1941, in which a great loss of life was sustained. Seemingly the authorities chose to view her powers as a medium as a threat to national security during the run up to the invasion of Europe. Whatever the truth about mediums, warlocks and witches, Sir Robert Gordon was probably not in league with the devil. He probably did cast a shadow and was almost certainly endowed with scientific knowledge far advanced for the times he lived in. He did invent a better sea pump for the Navy after all. A book launch with a twist is set to be hosted by local Dark Fantasy author, Carmilla Voiez. In celebration of the release of Psychonaut, the second book in Carmilla’s Starblood Series, a special evening for fans will be held on Friday 8th February, at Cellar 35, Rosemount Viaduct, Aberdeen, from 8.30p.m. to 1.00a.m. This event will allow readers to meet the author, hear readings from both of her novels and taking part in a question and answer session. Entertainment specifically detailed around the worlds of Starblood and Psychonaut – including acts by spooky-magician extraordinaire Dean Spruce and an intriguing and beautiful burlesque performance by Magenta Lust – will also be provided throughout the evening which will end in party style with music by Aberdeen DJ, Jimsin. 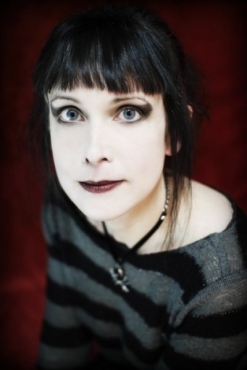 A Goth for over 20 years, Carmilla sold her Gothic Clothing business last year since when she has been writing top selling books which are inspired by the Gothic subculture, magic and dark desires and explore sexual obsession and violence in often hard-hitting ways. Carmilla finds inspiration in local beauty, stately homes, the Moray Firth and woodlands around the Scottish town where she has lived the past 10 years with Starblood, the first book in the series, being set partly in the beautiful Cairngorm mountains and partly in the city in South West England where she grew up. She currently lives with her husband, daughters and numerous cats in Banff, where she is writing the final book in the series. Carmilla’s literary interests also extend to the Aberdeen Writers’ Club which she co-founded in 2011 as a forum where local writers gather to discuss ideas and writing techniques. While there will be no dress code at the launch on 8th February, it will be full of amazing Gothic and Fantasy inspired costumes and will be set off by local jewellery and masquerade-wear businesses who will be on hand offering their unique designs. Entrance this event is £3.00, which will be redeemable against the purchase price of one of Carmilla Voiez’s critically acclaimed novels, published by Vamptasy worldwide. Note: This is strictly an over 18’s event and proof of age will be required for admittance. In conjunction with this year’s Enchanted Castle event at Crathes Castle, which will run from Wednesday 23rd to Sunday 27th November, there are a number of fantastic prizes up for grabs in a new digital photography competition which is launched today. The competition is open to two age groups, namely 15 and under, and 16 and over. You can enter both competitions online, via a link on Carlton Resource Solutions Ltd’s website at www.carltonrs.com/castle and all entries for both categories will be visible so entrants can weigh up their competition! The theme of the competition is ‘The North East’s Natural Beauty’ and, as Gerry Muldoon from EC organisers GM Events outlines, this can encompass a wide range of subject matter. “Entries can be anything from landscape shots to wildlife or even the sky at night, the only prerequisite being that the image can be sent digitally. “The winners will be selected by Logan Sangster of Deeside Photographics in early November. Prizes for the senior competition include a family meal at The Milton Restaurant, an overnight stay at the Raemoir House Hotel and a £250 voucher for Deeside Photographics for a full family portrait. The organisers hope to see local schools getting involved and for everyone to delight in the region’s top photography talent and share their entries with their friends and family. Among the prizes for the junior competition is a new digital camera, courtesy of GM Events and family membership to the National Trust for Scotland. 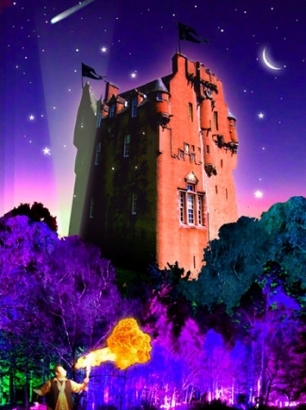 The Enchanted Castle event itself will see the grounds of Crathes Castle transformed thanks to cutting edge light and sound technology and stunning choreographed effects, moods and backdrops that will be a ‘must’ for family members of all ages. An evening walk will take place in a truly magical ambience, and a host of complementary, themed attractions including storytelling sessions, fire breathers and jugglers, magicians and children’s enchanted craft activities, will all add much to the magical experience. Inclusive tickets for all the attractions cost £10 for adults, £8 concessions, £5 for Under 16’s and free for Under 5’s. Ample free car parking is available at Crathes Castle. In addition to Carlton Resource Solutions as headline sponsor, Scottish Enterprise, Aberdeenshire Council, Rural Aberdeenshire LEADER Programme, EventScotland, Royal Deeside and the Cairngorms DMO have all assisted in ensuring the Enchanted Castle will be one of the winter’s major events in the area.